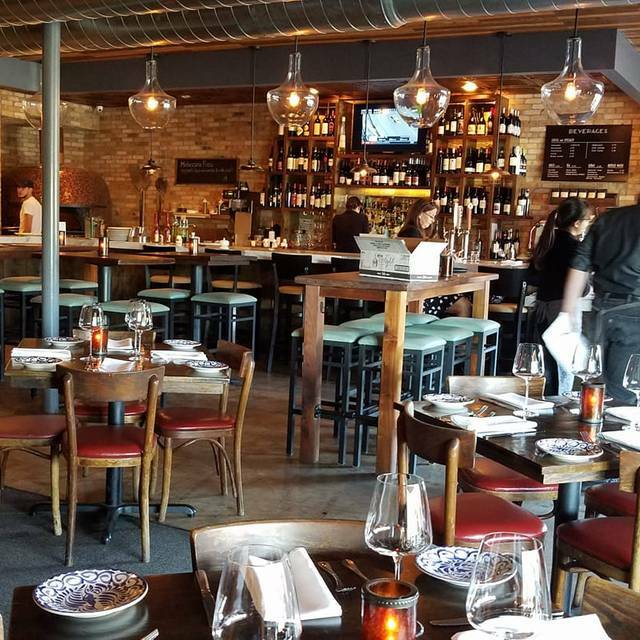 Located in the historic Bellaire neighborhood of Houston, Enoteca Rossa offers a unique dining experience for any palate. Our dedication to quality ingredients, and maintaining Italian tradition shines through our meticulously prepared offerings. I would have given a 5/5 stars but my margherita pizza was not the best. The tomatoes were sliced too thick. WE enjoyed our visit with friends, nice atmosphere and good service. Self-Parking is a little difficult so valet parking is the best option. Kate at the bar is a treasure; great wine recommendations. Great service and staff were well versed on menu, ingredients and wines. Food was fresh and delicious! Wonderful pizza and good for happy hour. Always great food and fantastic service! Energized, yet relaxed feel! They always exceed my expectations! We ate outdoor. The weather was perfect. Noise level is extremely quite.Great experience. 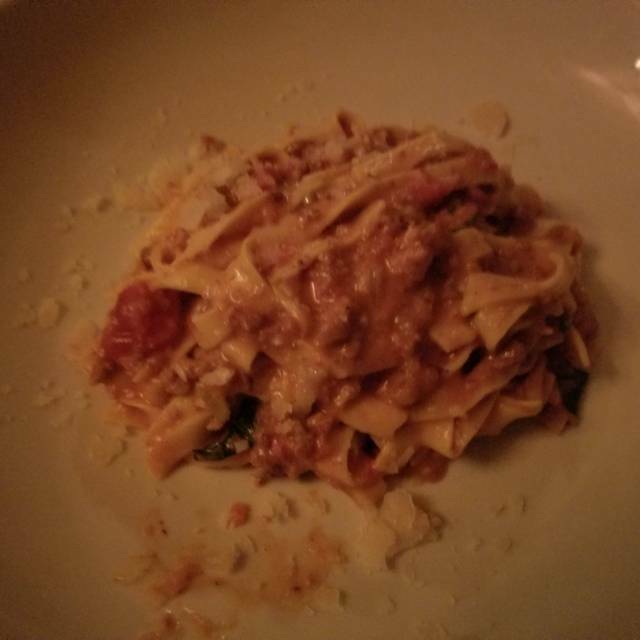 Enoteca Rossa is a wonderful neighborhood restaurant. We have been dining there since it opened. Service and food are always great. We love it, you should go! The food was a bit overpriced and was on the smaller serving size when compared to the price. Could just be a bad day but the blame is on the waitress and on the kitchen staff as the food arrived late and was cold. Otherwise ok.
Will try one more time. First time was very good. Second time, this time, was very poor. Food and Service really good! I was looking forward to a nice quiet dinner, as advertised on their website. But that was not the case, it was too loud. For a reservation only, again advertised on their website, I did not expect such a large crowd. The tables were very close to one another. Ambience on the weekend was very crowded and noisy. It took an hour to get our meal after ordering. Waitress did not check on us. Waiters tried to take my plate 3 times even though meal was not finished. We were seated near the open door to the patio and it was too cold for the door to be propped open. Our sever was too busy at times to check on us. Four of the five entrees cane out before the fifth arrived 15 minutes later. In the meantime the rest of our food got cold. The restaurant made no attempt to rectify the situation. Every thing there is great, not very crowded at lunch on Sunday. My husband did not like the tomato sauce on his chicken parm. It was lacking depth of flavor and spices. However,It was accompanied by fettuccine alfredo which was wonderful. Ordered octopus but dish was 80% veggie & 20% octopus for such a high price. Liked everything else. Too expensive for what we received. Service was very slow. Presentation was lovely, but that didn’t make up for the service delays and prices. Enjoyed a marvelous evening at Enoteca Rossa on Saturday. The weather was pleasant (not our norm lately), so we sat outside - actually just outside the bar, which was private (only 2 tables there), and QUIET (inside can be “full of energy”). We had enjoyed heavy hors d’oeuvres elsewhere, so shared a burrata salad (best in town, I believe), and had a glass of wine. To top it off, Enoteca provided us with a complementary dessert for my b’day. Don’t miss the strawberry stracciatella gelato - absolutely tastes like fresh strawberries! Enjoy! Food is always good. Have brought lots of friends there. Dinner and service were excellent. Will definitely be back. A real neighborhood gem! Good food, excellent service. It was a bit noisy and drafty. Great neighborhood restaurant, with intimate vibe, reminds me of a hidden gem you would normally find in NYC. Highly recommend. nice spot. very comfortable. nice attentive service. Great food as always. Owner needs to hire more wait staff though. Sunday lunch and only one waitress. She was wonderful and did her best but only so much one person can do at a time. This is not a new problem here in my experience - the last time we came here for brunch it was even slower, also due to staffing issues. We had a reservation at 7:15, but was not seated until 7:50. That's an unreasonable amount of time to wait for a table with a reservation. Good food! Good Service! I had a 7:00 reservation on Saturday and was seated right away. The grilled octopus appetizer was charred to perfection. Great neighborhood Italian food restaurant. Cozy and romantic atmosphere. Very good food. Excellent attentive but not intrusive service. Energetic noise level. Easy to find. Good location. Reasonable prices. Excellent salads. Our table ordered mostly pasta dishes - all very very good. One of us ordered the fish (halibut) special and she said it was outstanding. 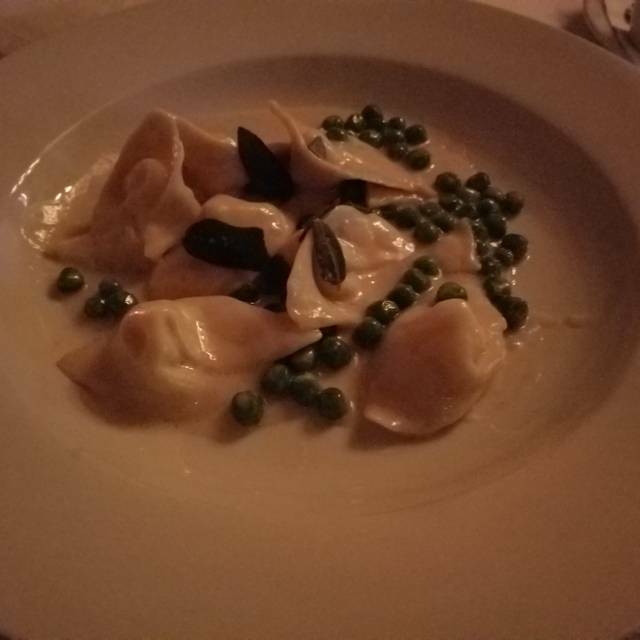 The only reason I gave this a four star was my pommodore fresco needed some seasoning, garlic or something - it was rather bland. Low key Valentine’s Day dinner with my wife. Absolutely love it everytime we visit! Amazing! First time here and the ambiance was so cute and quaint. Food was absolutely delicious! I recommend the bruschetta and gnocchi for an entree, I’ve been craving it ever since we went! Will be back again soon! Really nice waitstaff and good food! Great neighborhood place and becoming quite popular! Great wine, too. We ordered 2 appetizers and 2 meals. The appetizers were good. The food took 30 minutes to arrive and was cold. I sent the food back. The manager comped the food but didn’t offer a replacement. The service was terrible. They are understaffed. We paid a$76 bar tab for 5 drinks. Overpriced for margaritas in Houston. I probably won’t go back. Came home and had a pbj cause I didn’t get dinner. Love this place! We are there at least once every two weeks if not every week. 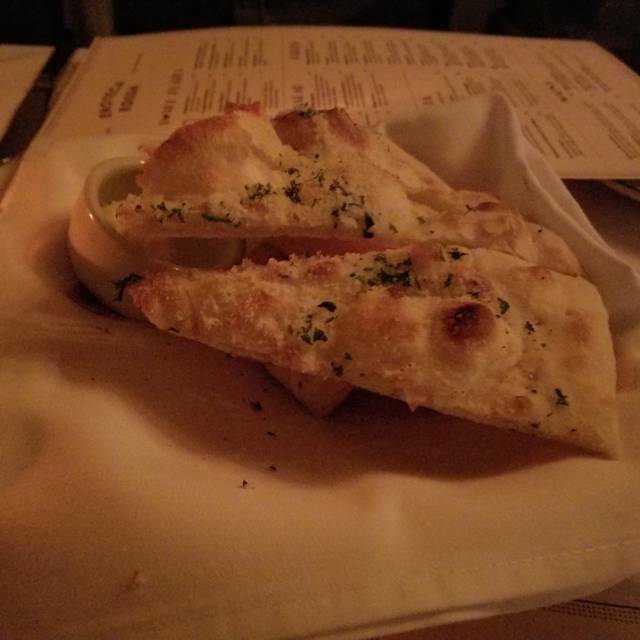 Food is awesome, service is great, cocktails are delicious, they know their wine and I'm in love with their Italian cookies more than my 4 year old! It does get busy so would advice you book ahead. This is our Friday night go to. Happy hour is the best value. Staff are lovely.